A new model of wind generator uses as its main source of power what others have seen as a drawback of wind energy. The structure bends in the wind and produces power at its base by utilizing the vortex created when wind moves around an object. Wind energy engineers have long faced te problem of this vortex destroying construction efforts. The engineers at Vortex Bladeless use this force to their advantage. 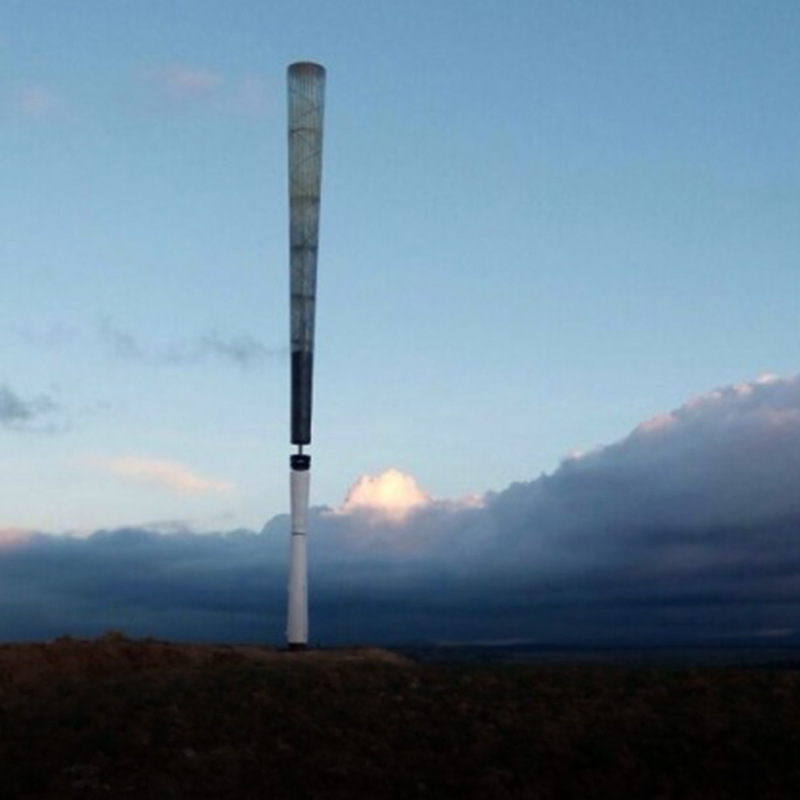 By creating a bladeless, conical structure that bends in the wind, they are able to cut construction costs and operation costs by half compared to bladed, spinning wind generators. There are no spinning parts, the structure is made out of carbon fiber and fiberglass, rarely needs maintenance, is silent and completely safe for birds. The wind bends it like a reed and collects energy at the motor, near the base. Surrounding the motor with magnets enhances the bend and helps to produce more energy even in low wind environments.